Solsidan 1-4 (2016) at Art fair Suomi Cable factory, Helsinki 25-28.5.2017. Year of the Rat Upphill-Downhill (2009) Kunsthalle Helsinki exhibition Me:Self-portraits Through Time 27.5.- 6.8.2017. 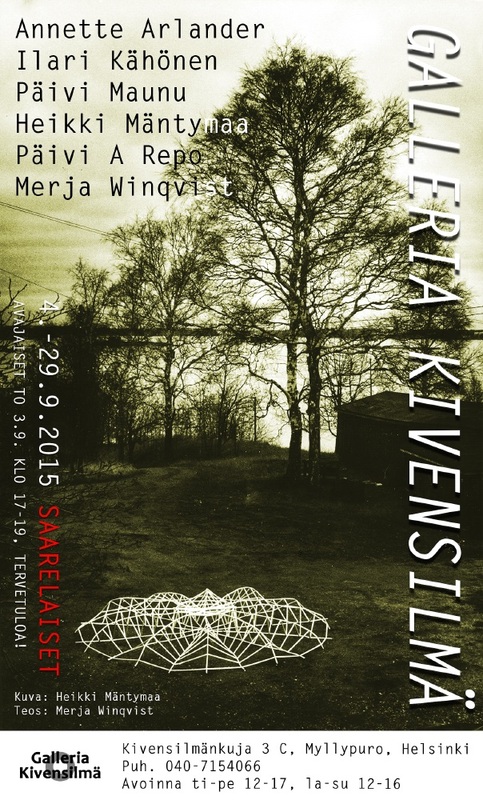 Rock triangels 1 – Searching for a Meteorite (2000) Art Fair Finland 2015, Cable Factory 17-20.9.2015 See here. Year of the Snake – In the Swing, Year of the Snake – Swinging Along, Before Sunrise (Mornings in May). Water Images summer exhibition Harakka Island 29.5.-19.6.2014. 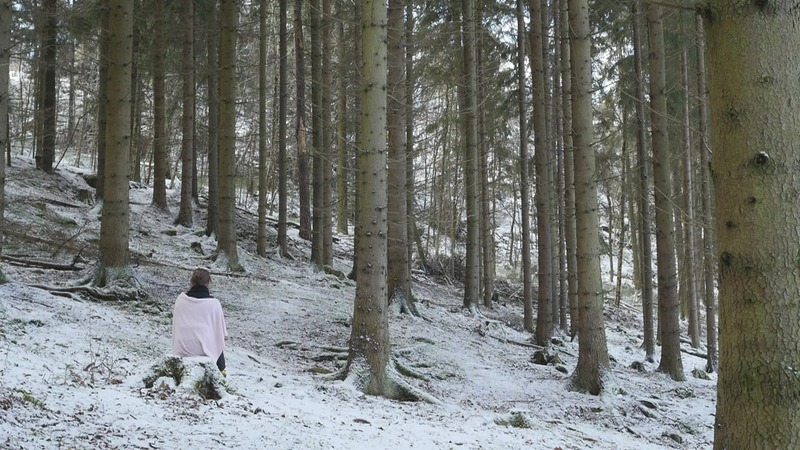 Winter Wind Nest (video installation). Art Fair Finland 27.9.-6.10.2013. Year of the Rabbit – installation. Materia -exhibition. Harakka Island 31.5.-20.6.2013. Year of the Rat – Mermaid 1-2. LiikKUVAT project. Kauppi Hospital, Tampere 8.3.-8.6.2013. Year of the Ox – Riding a Buoy. 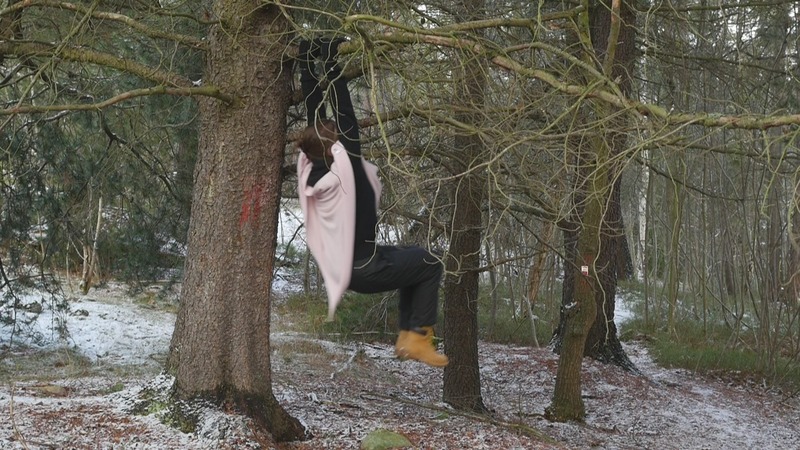 Here and Now – Performance Art in Finland. Aboa Vetus Ars Nova, Turku 1.2.-28.4.2013. The Sand Glass 1-7. Art Fair Finland 13.-16.9.2012. Year of the Tiger 1-2 (long). Energia –exhibition. Harakka Island 6.6.-1.7.2012. Sitting on the Shore; Crystal Ball on the Shore; Crystal Ball on the Ground. Art Fair Finland 25.11- 18.12.2011. Secret Garden 1-2. Polku valokuva- ja videotaidenäyttely [The Path – photography and video art exhibition]. Taidekeskus Honkahovi, Mänttä 6.10.-18.12.2010. Shadow on the bench; Double Happiness in Water. Art Fair Finland 28.8.-5.9.2010. In the shadow of the Hawthorn (sound installation). Living Room 306, 4 km2 festival Turku 2.-5.6.2010. Wind Rail I & II (videos). Art Fair Finland 26.9.-4.10.2009. Kaasunaamarit [Gas masks]. installation in the auditorium. Harakka 20 years 31.7.-13.9.2009. Good Morning. Private Universes -exhibition 9.5.-23.5. 2009. Year of the Rooster. Artists’ Association of Finland, 113. Annual Exhibition: artists 2008. Kuntsi Museum of Modern Art, Vaasa 26.9.-2.11.2008. Shawls, Three Shawls & Shawplay (performance). Art Fair Finland 12.-19.9.2008. Omenapuu [Talking apple tree]. Hiidentie/Taiteen tiet, environmental art exhibition, Salo area 5.6.-6.9. 2008. Das Hexenbesen. Unter Wasser und Wind. Atelier Antje Wiewinner, Osnabrück 21.10-3.11.2007. Wind Nest – Witches Broom; Rauks. Art Fair Finland 5.-14.10.2007. Rauks. Seascape. Harakka Island 20.5.-2.9.2007. Year of the Rooster. Art Fair Finland 22.9.-1.10.2006. Antidote (photo); Witches’ Broom (audio play). Myrkkyä. Gift [poison] – exhibition. Harakka Island 17.5.-19.9. 2006. Pajun puhetta [Willow talk] –audio play. Tuntematon Töölö [Unknown Töölö]. Helsinki 25.-29.4.2006. Crystal Ball on Harakka Island – video stills. Harakka Library exhibition 2005. Puut puhuvat [Trees Talk] sound work. ANTI – Contemporary Art Festival, Kuopio 16.-19.9.2004. The Shore [Three Shores; Harakka Shore – Year of the Goat; Harakka Shore – Day and Night of the Monkey; Kiasma Shore] video works. Vision and Mind. Kiasma Museum of Contemporary Art Helsnki 29.5.-26.9.2004. 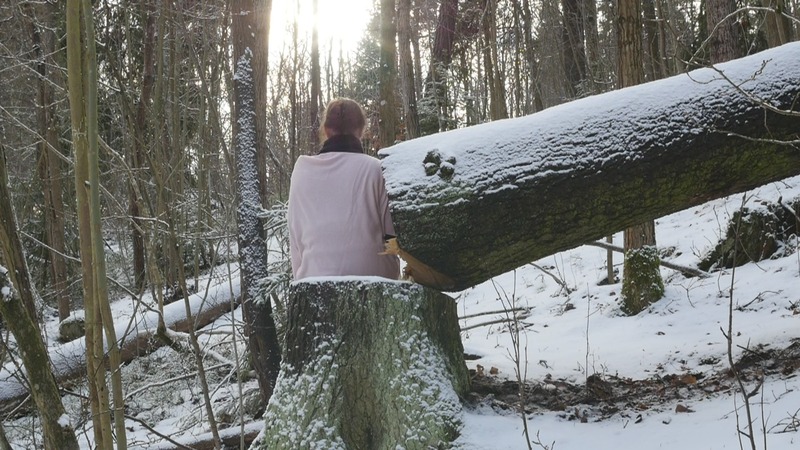 Puut Puhuvat [Trees Talk]. Reviiri -taidepolku [Territory – Art Path]. Harakka Island 3.7.-14.9.2003. The Bricks – orientation in space. Harakka library exhibition 2001-2005. Kalliokolmot 1 – meteoriittia etsimässä [Rock triangles 1 – Searching for a Meteorite]. Winter exhibition. Harakka Island, February-March 2001. Täällä missä meri alkaa [Where the Sea Begins]. Calvino Memos. Kiasma Museum of Contemporary Art Helsinki 20.4.-25.6.2000. Missä kivi puhuu [Where Rock Speaks], audio plays and sound installations in Harakan Laboratoriot [Harakka Laboratories] collaboration with Radio Theatre and Helsinki 2000. Harakka island, 7.-22.10.2000. Double Happiness in Water (video). Summer exhibition, Harakka Island 27.5.-18.6.2000. Quinsai (sound installation). Harakka 10 years. Harakka Island 1998. Quinsai (sound installation). ABC-Architektuurzentrum. Haarlem, Netherlands 9.5.- 27.6.1999. Joka tapauksessa luultavasti [In any case, probably] sound installation. Zet outdoor‑ exhibition, Oulu 1991. Päiväkirja [Diary]. Diaries curated by Hannu Gebhart. Kluuvi gallery Helsinki 1989.